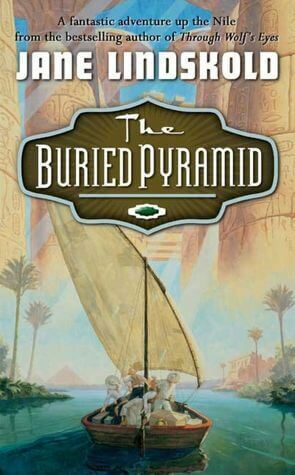 The story follows Neville Hawthorne, an archeologist fascinated by ancient Egyptian ruins. He is recruited by Alphonse, a German enthusiast for all things Egyptian, to help him find the Valley of Dust, and the ancient tomb of Neferankhotep, pharaoh of Egypt. Through various circumstances, the expedition is scattered, and the elusive Valley remains hidden to man’s eyes. Ten years later; Neville has unsuccessfully tried to bury his urge to go back and finish the job, and resolves once again to find the Valley of Dust. The day before he leaves England for Egypt, his plans are complicated by the arrival of Jenny Benet, his niece from America. Despite all his objections she accompanies him to Egypt, and together with an old army friend and an eccentric linguist, Neville and Jenny set off to find the Valley of Dust. But all along their journey they are confronted with puzzling notes from a mysterious person called the Sphinx, and are inexplicably followed by the Lady Cheshire, a mere tourist and friend of the family who has an enormous curiosity at divining their true intents. The set up and premise of this book is intriguing. An ancient pharaoh’s tomb, what could be better? The characters are engaging and interesting and the story really does hold you in. There are a couple instances of technical errors of bad writing, but overall the book is well-written. The story is engrossing and you’ll be reading for long sessions to find out what happens. Enter the three-quarters mark of the book. Though up until this point there are a few minor comments about God and the ancient religion of the pharaohs, they aren’t very many and just made me vaguely uncomfortable. That all changes at this point (warning: fairly major spoilers ahead). The party is trapped in the actual tomb of Neferankhotep, in a deep pit with no exits. Bedouin raiders are aboveground, determined to keep them from escaping. Then, the group finds a door. They exit this door into, quite literally, la-la land. They meet Ra, and his boat that travels across the sky. The explorers form the crew for Ra’s ship and must fight off the evil gods who would stop Ra on his journey. When they reach the end, they enter the ancient judging places of the Egyptians, and are judged by all the Egyptian gods on their lives. What’s so mind-boggling is that the author apparently intends this part of the book to sound, well, real. But conversations with Egyptian gods and over a hundred pages full of pagan junk isn’t exactly realistic sounding. After completing a quest set before them, the explorers are offered paradise, but choose instead (conveniently) to return to the real world. The gods place them in the town of Luxor, and in a Narnia-esque moment, no time has passed and they are touring the ruins there, as normal British tourists. This actually passes for the last quarter of the book. I’ll leave you to judge for yourself. For me, this sort of stuff isn’t just annoying story-wise, it’s also wrong. 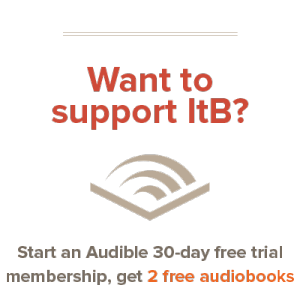 Why fill your head with one hundred pages of Egyptian theology. For me, that’s a huge point against this book. The minor technical errors round it out, and I can only rate this book at a sorry two starts out of five. If the author had taken the time to come up with a half-good ending for a decent adventure story, perhaps this book would have garnered three or four stars. But as it is, it’s just not worth your time. Ugh, don’t you hate it when authors ruin a good story by doing stuff like that? 😛 Egyptian fiction often grabs me, but I’ll be sure to give this one a wide berth.